The Fourth of July delivers more than just the local display of fireworks for Samuel and Julia Wortham. They return from the festivities in Dearing, Illinois, to find Samuel's borther Edward, out of prison and on their doorstep. Surprise turns to shock and confusion as Edward introduces a young girl named Katie and declares that Samuel is her father. Samuel maintains his innocence and cannot understand why his brother would make up such a story, Julia struggles to believe Samuel's declarations of faithfulness, and Edward delights in antagonizing his brother. Katie just dreams of finding a home. This page-turner will keep Kelly fans and new readers alike on the edge ot their seats until the very end. 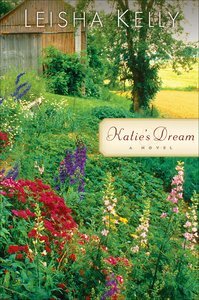 Customer Reviews For "Katie's Dream"
Reading this story set in the depression does remind us of the blessings we enjoy every day, no matter what our means. There were enough snippets of joy to keep this from becoming depressing, so it was encouraging over all.